Location; East Rukongai, Sabitsura (錆面, Rusted Face), District #64. Terrain Backdrop; An uninhabited shrine, belonging to one of the eldest Shinto gods; Futen. Otherwise popularly known as Fujin. The Shinto god of wind. 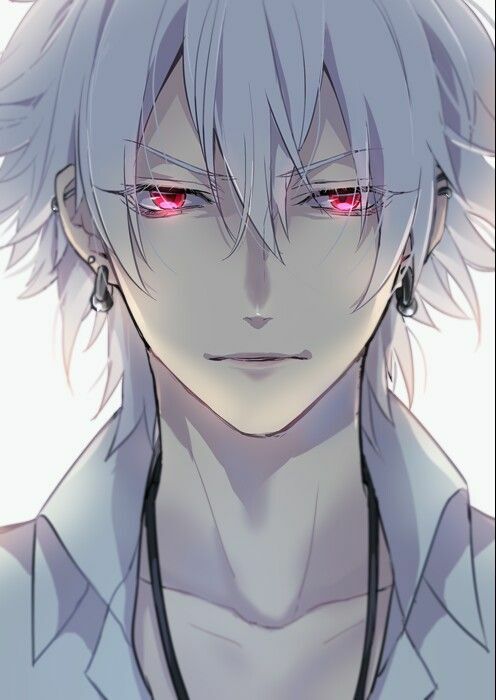 Mission Description; Kira agrees to engage one of his subordinates in a banter, only to realise that said person had an ulterior motive for arranging the spar. The weight of the supposed banter magnifies beyond his expectations and he comes to find himself dueling against a colleague for the right to maintain his standpoint as Vice Captain of the 5th. I have now reached a level where my reiatsu can be understood as truly enormous amount of spiritual or even oceanic. I've become so spiritually impressive that surpassing the realms of Captain is something very few could questions. As of now using even mid-level techniques has become inconsequential, and high level techniques can almost be used in excess at this point. Furthermore my power can be felt over vast distances, even when slightly restrained. With enough control I could pose a significant threat using my reiatsu alone, without control my presence alone would be enough to cause moderate harm. With every step I grow that much stronger. I could seriously hurt those weaker than me without even trying, while those of similar constitution would take care not to eat too many of my attacks. Those above me would have to think twice about taking something like a raw punch. Throwing something as heavy as a car could be effective in combat, while my attacks could punch through even thin layers of steel. As I grow, my ability to resist all manner of things grows evermore consolidated. Higher level attacks up to a point are starting to reach the point of reduced impact. Those fighting against me with strength alone will find themselves at a standstill unless they're stronger. I can completely hide up to B+ reiatsu; mostly control A; partially control A+; cannot control S or higher, unless I use a special device. Reaitsu channeling can produce blasts with short range and fair control. Bala -- 20 times quicker than a Cero, especially in the load time, but weaker in effect. Requires some concentration to fire. Cero techniques cannot reach full potential, but require less concentration for stability. As a casual user of this art, I have learned enough of the basics to use it competently in most instances. My techniques have power, accuracy and balance, but I still lack confidence in my skill. This leaves the application of my techniques to be unimaginative and cautious. I probably will miss openings and am likely to be drawn in by a gambit. At this level though, I'm not the most likely to engage in sword combat, but it is a valid option if absolutely necessary. (Bankai/Segunda Etapa): 3rd ability unlocked, 2nd ability mastered. He arrived. Albeit, some few things else preceded his appearance; footsteps, aura, presence, to mention but a few. Kira traversed the frontal tori gate, feet coming to pat flat against paved ground. An encirclement of colorful sakura trees enclosed the shrine and he beheld their flower adorned branches jettison hypnotic cherry blossom petals into the air. The petals fell, but soon invisible winds caught them and they became adrift, forced to dance atop aero currents. There was a tranquil ambience to the place that was becoming of a shrine, but for some reasons it aroused irrational suspicion. Not a single soul was present. Well, not as far as his perception was concerned. The place was completely uninhabited or so he thought until a voice urged him to perish that notion. ''I've been waiting for you, Kira-san.'' The speaker said. Already cognizant of the kinds of thoughts his sudden appearance would've instigated within Kira, Shiro yielded a mildly mischievous smile while squinting his eyes. It breezed for a brief moment and passing winds tugged against his hair strands, disheveling them. Excited by these same winds, his shihakusho grew restless, fluttering with noise. Teleportation?!! All of a sudden, KIRA BLITZED a short distance backwards; A flash of crimson light prior emanating from his soles. He reached impulsively for the hilt of his zanpakutō but stopped some few inches short of it. ''Hey, no fair! Why did you retreat back there?'' Shiro said seeming genuinely confused, while brandishing an unsheathed wakizashi. He was standing right in front of Kira. ''It's not like I wanted to cut your head off or anything. Taking some leisurely steps forward, Shiro pleaded with Kira to remain perfectly still just before performing another disappearing act, only for him to almost immediately manifest and attempt another beheading slash. Losing then subsequently registering Shiro's presence, Kira quickly enacts a hastened sword draw and blocks the flanking strike. At which point Shiro chuckled and withdrew, physical form slowly losing corporeality until he was no more. He completely disappeared. ''Tell me, Kira-san, why can't we see the wind? Hurried footsteps began to echo at different points within Kira's proximity but shortly afterwards they dwindled in resonance, stifling to less than a whisper. Abruptly, through the corner of his eyes, Kira caught a glimpse of Shiro's figure. Shiro smiled and swung vertically, generating a massive blast of condensed blue reiryoku in the path of his swing. The sword beam raced forward astonishingly fast, cleaving a fissure into the ground in the wake of its passage as it sought to claim all life within trajectory. Eyes reflecting the azure glow of the impending sword beam, Kira's impulses came alive inciting a mimicry of the very same movements as Shiro; He flicked his wrist, directing a slash at naught but thin and from the tip of his blade a bloodied crescent beam lunged forward at speeds no less faster than its opposing counterpart. BOTH SWORDBEAMS CLASPED explosively with a resounding bang, cancelling each other out, as a mushroom cloud of fire, black smoke and upturned earth blossomed. Circular shockwaves galloped outwards from the energetic collision, wrecking utter havoc in their wake. Grounds were excavated, buildings decimated and reduced to rubble and trees blown apart; Both combatants were equally displaced several dozens of metres. Kira managed to steady himself, dampening his inertia by thrusting his zanpakutō into the ground. Skidding to a halt, he tossed his spiritual awareness right back into surrounding space, effortlessly piercing through the thick veil of obscure black fumes in order to scry Shiro. But he was nowhere to be found. ''What are you looking at? I'm right here!'' BEFORE KIRA COULD REACT to the sound of Shiro's voice, something had already struck hard at his midsection. Sending him crashing through a line up of trees. Shiro later materialized, right leg hanging in the air as though he had delivered a kick. Retracting his leg, he then started walking in the direction he'd sent Kira flying, zanpakutō kept akimbo. RELINQUISHING THE REIGNS previously keeping his spiritual presence in check, immense amounts of spiritual gravity broke out at once; saturating the air with a boundless oppressive weight that beared down heavily against all things. THE WORLD WAS FORCED TO TREMBLE in sheer dread. ''Sever, Kamaitachi.'' He said, with a devilish smile. Eyes still squinted. Immediately, the blade of Shiro's zanpakutō responded to this command by denaturing into a cloud of silvery metallic dust. The particles were abruptly caught up in a whirlwind and strangely disappeared without a trace. • The question Shiro asked (''Why can't we see the wind?'') is a direct reference to this episode's title ''Abstraction''. Possibly hinting at the mechanism and/or basis behind Shiro's zanpakutō abilities. • #1, Veil; Shiro blends fluidly into thin air, becoming completely imperceptible. However, the concealment seems to break automatically whenever he manipulates spiritual energy or attempts to make active use of it. • When concealed, he can not be perceived (regardless the reiatsu gap) through any means (both conventional and unconventional) save for tactile sensory mechanisms. Seeing as Kira could feel the impact of his kick while he was veiled. • He can choose to selectively unveilthe sound of his voice and footsteps. • By fading in and out of thin air, with his reiatsu obscured, he tends to tricks opponents into confusing his actions for teleportation. • Apparently, Shiro's zanpakutō doesn't seem to change form upon shikai invocation. Owing to the fact that it retained a casual appearance right from the onset of this post despite being released ever since. • Blade Of Wind; Upon utterance of the command ''sever'', the blade of Shiro's zanpakutō deconstructs into a cloud of silvery metallic particles and fades characteristically into a whirlwind, leaving merely the hilt of the wakizashi within his grip. The effects of this technique are yet to be witnessed. • It is possible that his zanpakutō possesses more than one release commands. Some of which can trigger notable transformations in appearance.